For many people who are considering a move or a change in career, Arizona is a common choice. One of the most common reasons that people choose to relocate to Arizona is that it often is cheaper to live here than other states. If you are looking for work in Arizona and have not completed your education yet, there are plenty of options available, especially in the Phoenix area. You should be able to find a job in the service sector in large cities in Arizona, such as in retail, cashiering, food preparation and office work. Meanwhile, you can continue to go to school to earn your bachelor’s or master’s degree so that you can earn a higher salary. 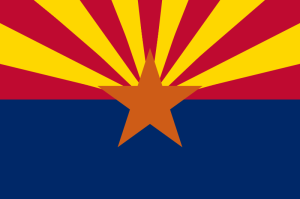 One of the benefits of moving to Arizona is that it is one of the fastest growing states in the US. This means that there is a good deal of job growth in the state. Below are some of the fastest growing jobs; you will notice that many of them are in the health-related fields, which means that earning a bachelor’s or master’s degree in healthcare administration is a smart choice. Also, the state of Arizona has a great deal of job openings for people with a degree in the area of medical records and health information; medical and clinical lab technicians; and registered nurses. For people with at least a bachelor’s or a master’s degree, medical and health service managers are also in demand. To earn your master’s degree in health administration, please consider some of the Arizona programs below. A.T. Still University (ATSU) – Master of Health Administration – This is a 66 hour program that has 15 classes. Most of the classwork is online, and you will need to go to campus four times during the two year program. Arizona State University – Master of Healthcare Innovation – This is a 34 hour degree that is offered fully online. You will study innovation in the field of healthcare, with the goal to advance the healthcare system. University of Phoenix – Master of Health Administration – This degree will help you to develop the essential skills that you need to be a manager of a health care facility, or to work as a health care administrator. Northern Arizona University – Master of Health Sciences – This advanced degree will prepare you to plan, implement and evaluate health education and health promotion programs. Below are some of the most relevant employment information for the health care field generally, and specifically for medical and health service managers, who typically possess a master’s degree in health administration. According to the Bureau of Labor Statistics, there currently are 3500-7220 medical and health services managers in Arizona, which is less than California but more than New Mexico. The annual mean wage for medical and health service managers in Arizona is between $92,000 and $101,000 per year. This is the same as Texas, but lower than California, Nevada and New Mexico. Generally speaking, BLS reports that there will be a 22% increase in medical and health services managers by 2020. Many of the people who are moving to Arizona are retirees or near retirees, who need to have access to good health care services in their elder years. So, we can project that there will be an increased demand for qualified health care administration professionals in the coming years. Banner Desert Medical Center is a 460 bed, nonprofit organization that provides a wide array of outpatient and inpatient services. This is one of the largest and most comprehensive health care facilities in Arizona. US News and World Report recently ranked this hospital as one of the top hospitals in the Phoenix area. It is the largest acute care facility in the East Valley near Phoenix. This hospital opened in 2005 in the suburbs of west Phoenix and is a full service, acute care facility. It is designed to provide the most healing atmosphere possible for its patients. It employees 1500 health care professionals and support people, with more than 700 doctors. The hospital is being expanded that will add 144 beds. Carondelet St. Mary’s Hospital was the first hospital in southern Arizona. It was founded in 1880 by the Sisters of St. Joseph of Carondelet. This campus is located on the west side and has 402 beds. It has both primary and specialty care practices, a cutting edge imaging center, and is one of the biggest emergency centers in Arizona. Chandler Regional today is a 243 bed acute care, nonprofit hospital that provides the most innovative and exceptional health care to residents in the East Valley. It currently employs more than 1900 people, and there are 850 doctors in many specialties. It is adding a new tower in 2014, which will add 96 beds and 200 more jobs. University of Northern Arizona Scholarship – The John Sciacca Honorary Scholarship is for an undergraduate public health or administration students with at least a 3.0 GPA. Arizona Nurses Foundation Scholarship – The Arizona Nurses Foundation (AzNF) assists Arizona nurses with their scientific and academic endeavors. The purpose of the foundation is to enhance the development of Arizona nurses by awarding college scholarships to undergraduate and graduate school nursing students. Arizona College Scholarship Foundation – These scholarships are for graduates of Arizona high schools and are earning their bachelor’s degree in a variety of fields in Arizona. St. Luke’s Service League Scholarship Program – These bachelor’s and master’s degree scholarships are for students who are pursuing a career in clinical health care or administration. Physician Assistant Fellowship – Hospital Internal Medicine – This is offered through the Mayo School of Health Sciences. It will be used to help a graduate PA become a highly skilled and compassionate PA in a hospital in Arizona. Arizona Center for Intergrative Medicine -Designed for physicians, nurse practitioners, certified nurse midwives and physician assistants, the Fellowship in Integrative Medicine at the Arizona Center for Integrative Medicine is a 1,000 hour, two-year distance learning program. Created by Andrew Weil, MD in 2000, the Fellowship in Integrative Medicine has achieved international recognition as the leading integrative medical education program in the world. Postgraduate Administrative Fellowship – The Postgraduate Administrative Fellowship Program is open to recent graduates from programs in Healthcare Administration and Public Health. The program is designed to provide its Fellows with an “educational” working environment that enables them to use their analytical, project management and communication skills in team-based setting.